Heat oil over medium high heat. Add mushrooms and constantly stirring 5 minutes. Stir in butter. Add salt, pepper, garlic powder and soy sauce, stirring. Remove from heat, and keep warm while you prepare the toast. 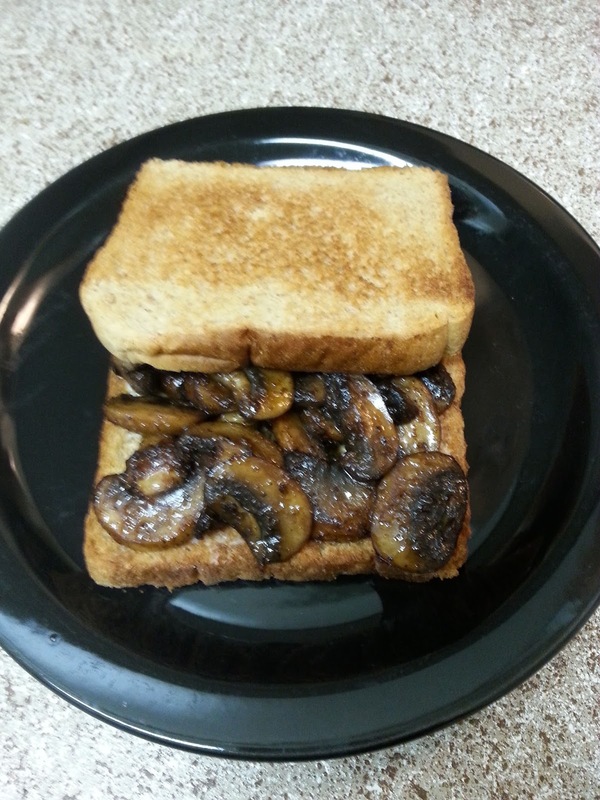 Toast bread in toaster, than spread garlic and herb spreadable cheese, top with mushrooms.